Commissaires is a Montreal-based gallery boutique specialized in the diffusion of unique creations made by international designers. For the exhibition “Resurrect”, a collective of French designers called 5.5 took pleasure in presenting different objects to which they gave a second life. Since the modifications were always made using green elements, we decided to centre our work around a green cross: a medical reference to France and an allusion to the biblical idea of resurrection. 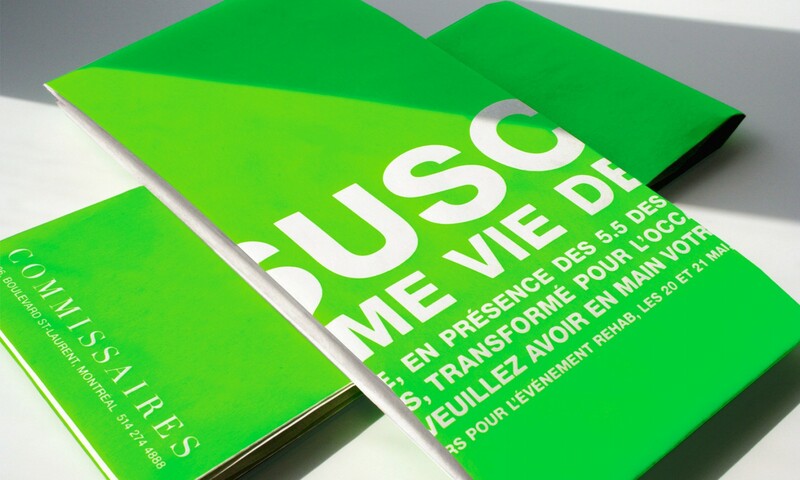 Silk-screened in vibrant green, the poster couldn’t go unnoticed!